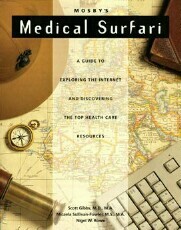 "Mosby's Medical Surfari is an excellent resource for both the novice and more seasoned Internet user." Principal partner and founder Nigel Rowe has over 25 years of technical expertise spread across three continents. He is the co-author of Mosby's Medical Surfari. This best-selling reference book detailing Internet Health Care Resources has been selected by universities and medical schools as a recommended textbook. Most recently Nigel was the Director of software development for Ameritech.net, managing Internet application development and technical relationships with major software vendors like Netscape Communications and Microsoft Corporation. PC World magazine rated Ameritech.net the "Best Regional ISP" in America. deployment of high-speed DSL throughout the Midwest region. These experiences include developing customer billing procedures and training DSL installation technicians. initiating industry discussion groups, workshops and strategy sessions on utilizing online resources. This background has afforded unique insights into how people interact with technology in a fast changing world.